Have you been familiar with Celtic wedding rings? Perhaps you know just a little about Celtic rings because when it comes to wedding rings, people usually think about diamond rings. Celtic ring is originated from Britain and Ireland where Celtic people lives and keep their ancient culture, faith, and mythology. There is a Christianity touch in the design because of the intermingling of Christian and Celtic the fourth century C.E. The Celtic ring designs reflect both the cultures of the Celtic and those of Christian. Can you imagine how unique the ring is? Right now Celtic rings become widely used for wedding. People are fond of the design not only because it is unique but also it brings strong symbol of a marriage. This symbol is called Celtic knot. What is the Celtic knot like? It is like what you see in the pictures. It is an interlockedpattern that surrounds the band. Since from the ancient times, the Celtic knot design has been considered as a representation of the Celtic conviction in life’s interconnectedness. Sometime this special knot is called a trinity know. It merely because there are three interlaced strands stand for the Christian Holy Trinity. For a wedding, Celtic wedding rings symbolize eternity. It is hoped that by wearing the ring, the marriage can last forever the locks of the knots intermingle eternally. Because it contains religious symbol, it is often worn for religious Christian wedding. But not many people concern about this meaning. They just like the unique and beautiful design of the ring. That is why Celtic rings become widely used and not limited to religious and traditional wedding. 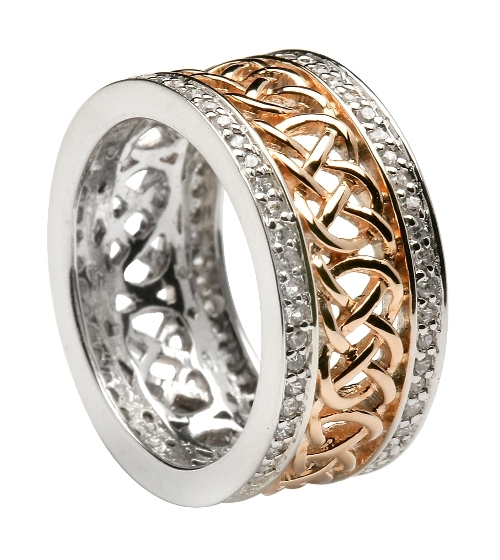 If your bride-to-be is passionate about ancient Irish culture and mythology, the Celtic ring is the best idea. Actually there are a lot of patterns with different meaning that you can learn. It will be very exciting to learn about the various pattern especially for those who like the culture. 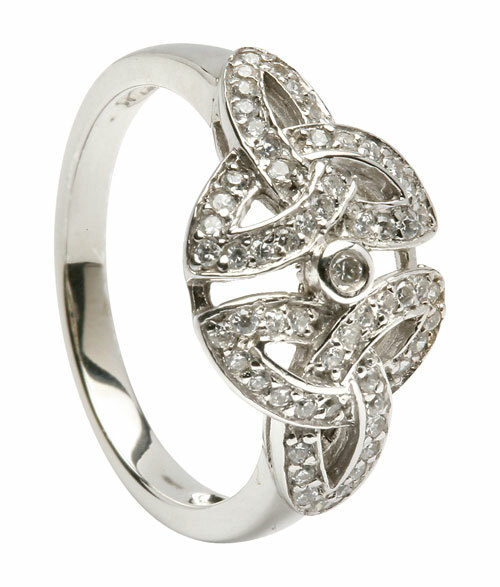 The gorgeousness, stylishness and spirituality containing in Celtic designs make them a good choice for wedding rings. Celtic wedding rings may include Gaelic phrase, which is a language spoken in parts of Ireland, traditional symbols or the complicated knots which is the soul of the Celtic design. Original Celtic ring does not incorporate diamonds or other stones. But because the presence of gemstones especially diamond is very popular in a wedding, they can be added in the Celtic rings.